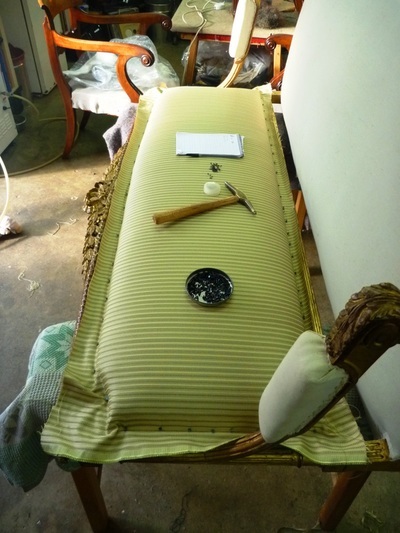 Have fun looking at the process described in the captions! 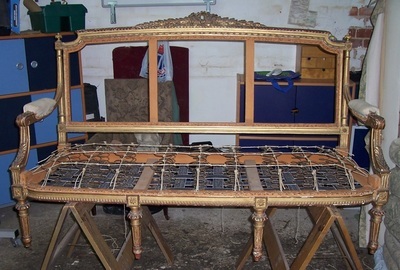 After tearing off everything on the frame, the webbing is laid on, and the springs are tied. 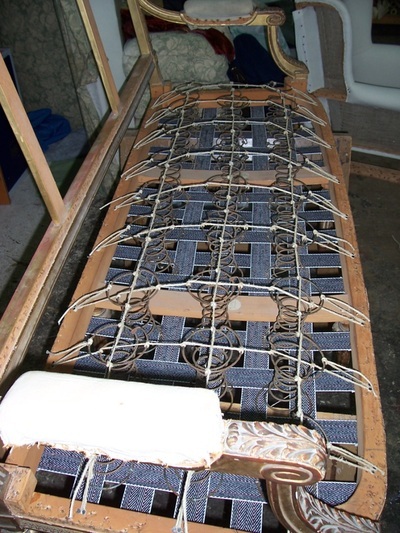 Springs tied properly will compress as a unit. The spring cover is laid on very tightly, springs tied to cover, and stuffing ties put in. 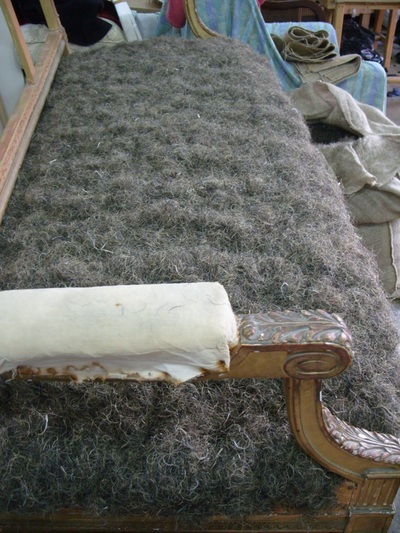 Horse hair is tucked into the stuffing ties to an even thickness. 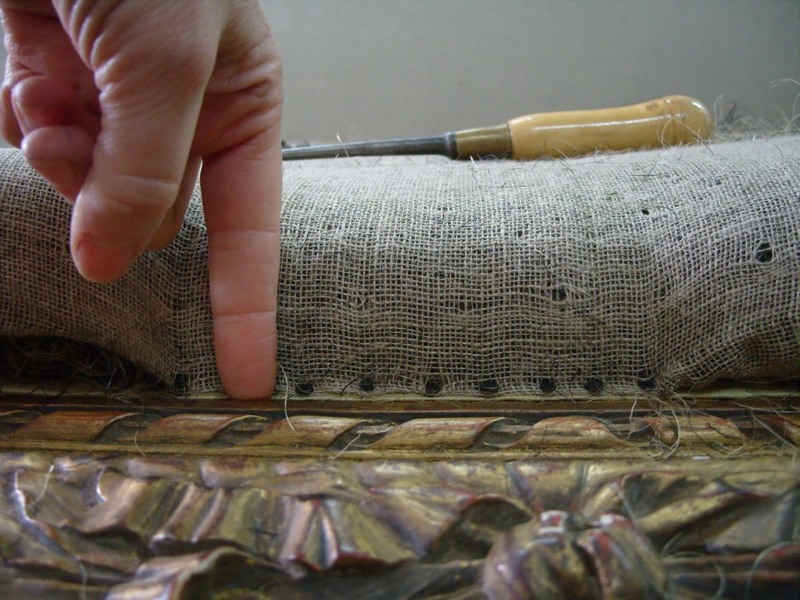 Linen scrim covers the hair layer, and is secured through the spring layer. The pad is stitched using blind stitches and top stitching. 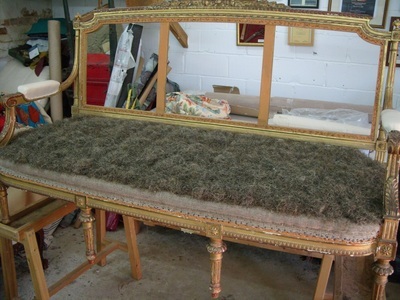 The second stuffing of horse hair is tied in. Calico is pulled taut over pad. 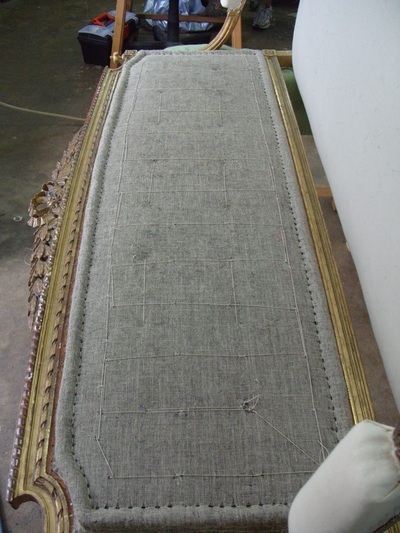 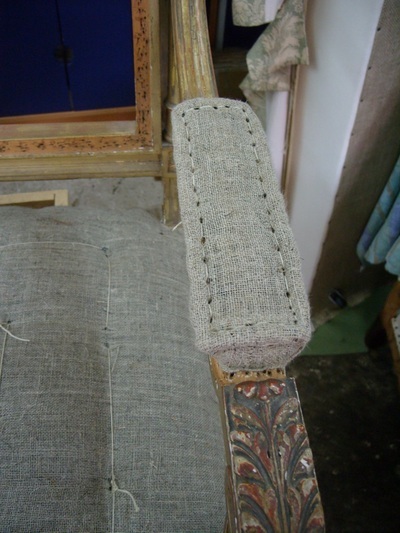 The little arm rest is built up using horsehair and linen scrim, and top stitched. 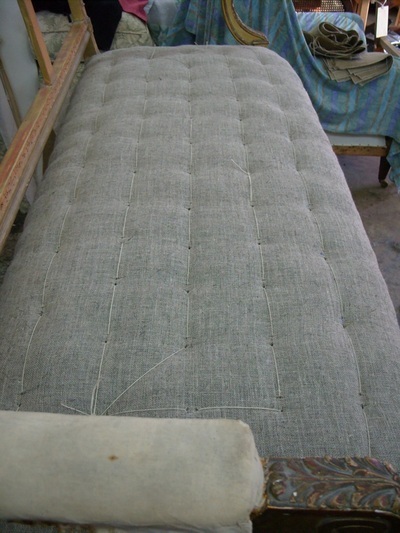 The outside back, in this style of back, goes on first! Here is the pad, top stitched and ready for the second stuffing. 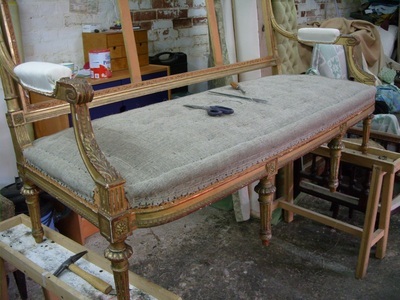 The furniture is now ready for the show cover fabric. 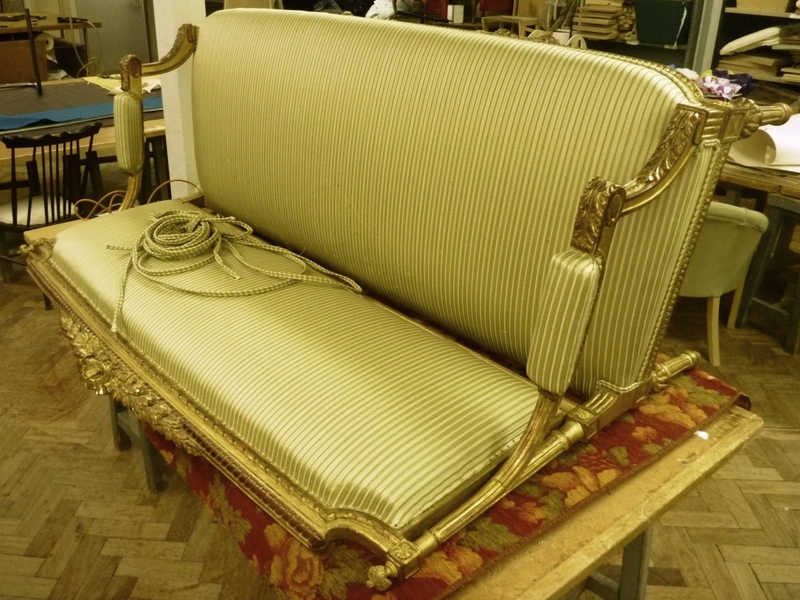 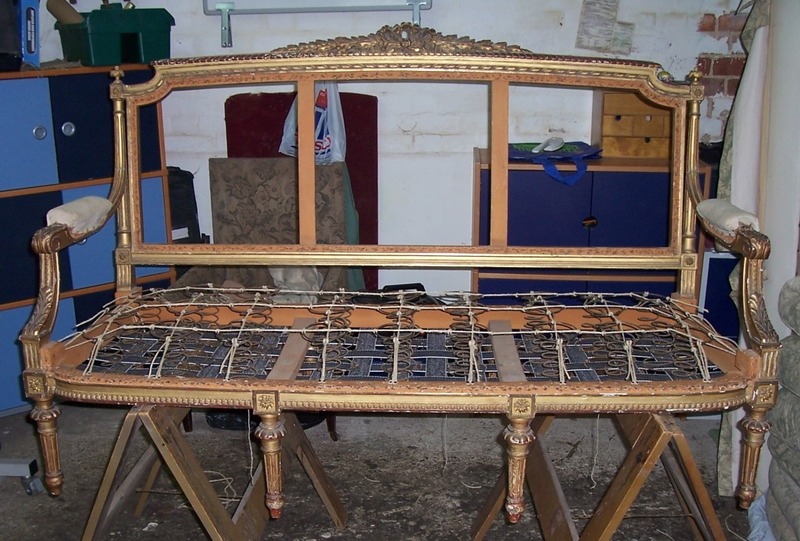 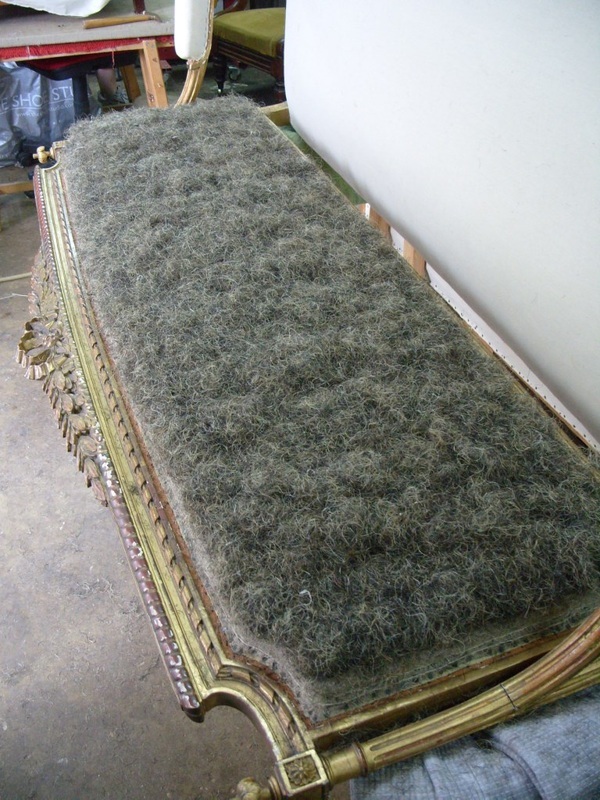 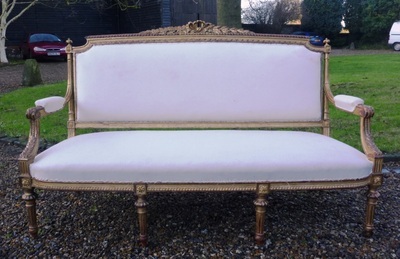 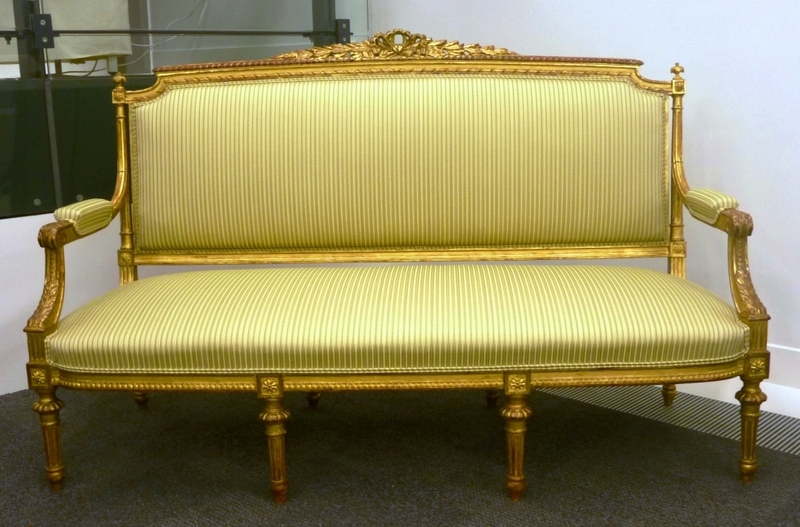 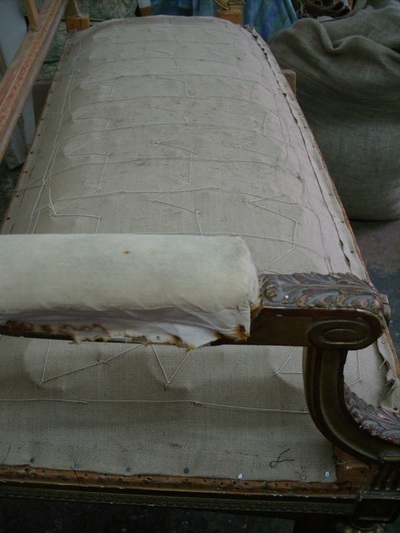 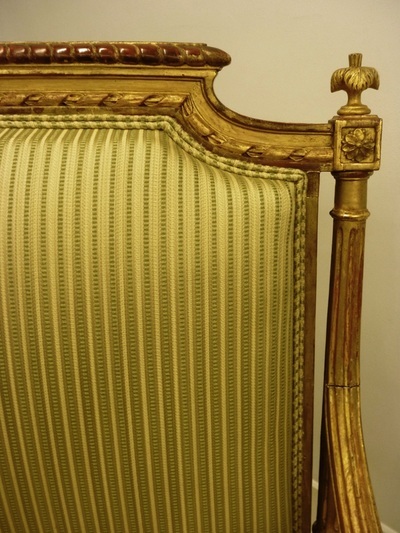 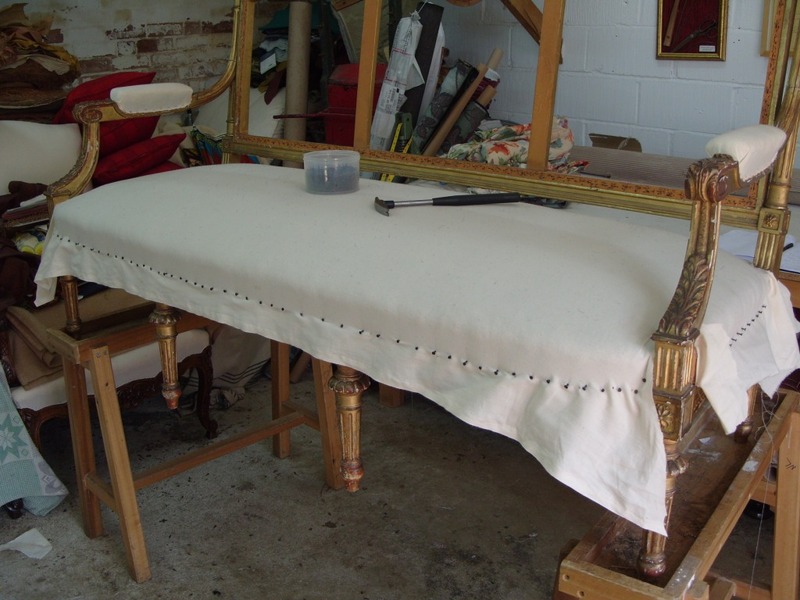 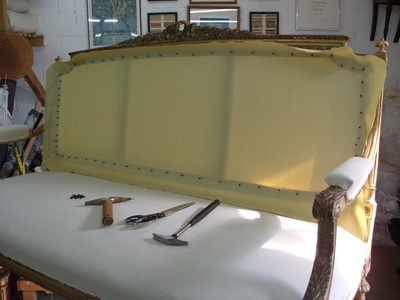 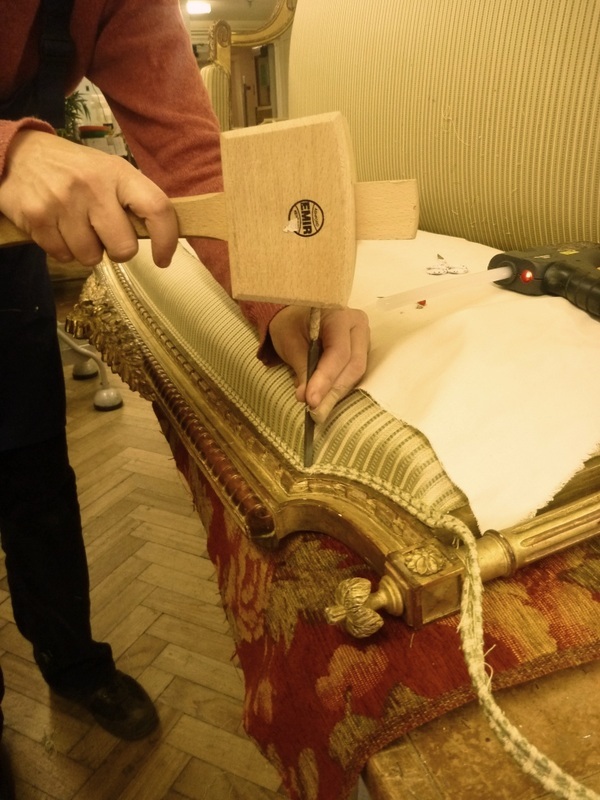 The next time it is upholstered, no foundation work need be done! Several miles of double piping, made and ready to install. A little extra coaxing on these corners.